This is a guest post from Tara Heath, a freelance health journalist who specialises in eye care. The idea of getting sunburned eyes may sound odd, however, it is indeed possible. The medical term for sunburned eyes is photokeratitis, and it involves the burning of your cornea and the whites of your eyes. Unlike sunburn of the skin, which typically occurs in the summer, you can easily suffer from photokeratitis in both summer and winter. Dr. Jeff Pettey from the American Academy of Ophthalmology says the sun’s UV rays can bounce off various surfaces. 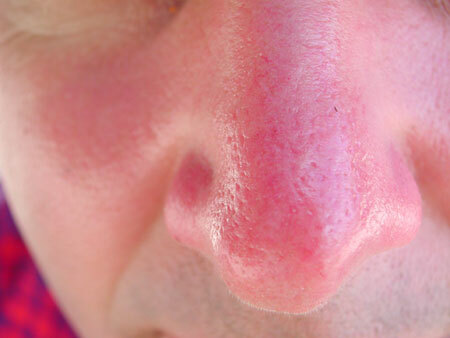 Water, sand, pavement, ice, and snow may be behind many sunburn cases. If your peepers do get overexposed to the sun’s rays, your eyes will get burned and the result can be quite painful. You will most certainly experience extreme sensitivity to light. When your eyes become sunburned, your vision could become blurry, and your eyes may swell and tear up as well. Let’s take a closer look at sunburned eyes, helping you keep your baby blues or browns protected all year long. Suffering from sunburned eyes is most common in the summer. This is mainly due to the amount of exposure to the sun during the summer months, soaking up the good weather. 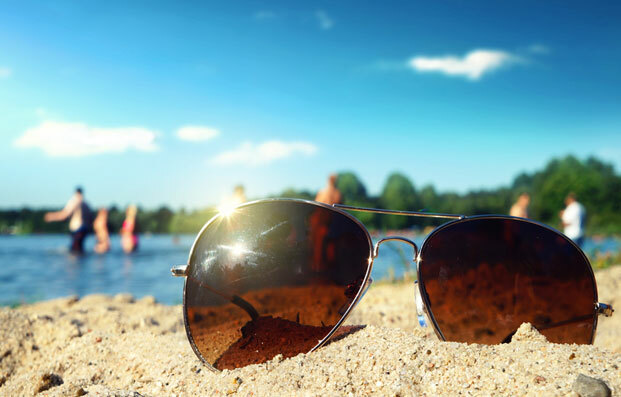 If you fail to protect your eyes in the summer, you increase your risk for cataracts and macular degeneration. In some cases, you may even have an increased risk for eyelid cancers. According to the Skin Cancer Foundation, basal cell carcinoma, squamous cell carcinoma, and melanoma are linked to five to ten percent of all skin cancers. These can also be prevalent in eyelid cancer too. Knowing the summertime environmental risks for sunburned eyes is the best first step. Be on the lookout for reflective surfaces on days with no cloud cover. This is especially important when on the water. Keep your eyes healthy this summer and be aware of your sunny surroundings. Most people fail to realize how easily they can sunburn their eyes in the winter. In fact, snow blindness and the dry winter conditions can wreak havoc on your sensitive peepers. If it’s a beautiful winter day, don’t lose focus on your eye health. Placing an importance on wintertime eye health may decrease your risk for long-term vision problems, such as a cataracts and a damaged cornea. One of the most common types of photokeratitis during the winter months is snow blindness, according to the American Academy of Ophthalmology. To ensure your eyes are protected in winter, think eye safety during your winter activities. Skiing, snowmobiling, hiking, or even endless hours building a snowman with the kids could put you at risk. If you suffer from sunburned eyes, it is best to use them as little as possible. Most cases of photokeratitis can be easily treated with rest and eye drops. However, if you have prolonged exposure, macular degeneration, cataracts, and even skin cancer could result. This means limiting your screen time as well. The blue light from your computer, smartphone, and tablet may damage your sunburned eyes further. The best treatment is rest and keeping your pupils in a dim environment. When enjoying the outdoors on a sunny day, wear sunglasses with UVA and UVB protection. The American Optometric Association recommends sunglasses with 99 to 100 percent UVA and UVB protection. They recommend lenses that block 75 to 90 percent of visible light as well. Don’t risk your eye health by forgetting about proper protection for your eyes. Sunburned eyes can lead to serious health conditions that may diminish your vision, or in some cases, cause vision loss later in life. By wearing protective sunglasses and understanding your environment are two sure fire ways to keep your eyes healthy. I didn’t know about sunburned eyes! I hate being in the sun without sunglasses on, I’ve such sensitive vision that I can’t stand it, ha. I didn’t know that either, until recently! I also don’t like being in the sun without sunglasses because it creates lines on my forehead. Wow, this is amazing, i never knew of this condition before. Thanks for the enlightement. I am glad you learnt something new!